Of the many theme parks throughout the country, very few of them have been built for educational purposes. This is not the case for Sea World in San Antonio, Texas. Seas World is a 250 acre marine mammal, animal, and oceanography park that was built in 1988. Today the park has been transformed from Sea World Texas to Sea World San Antionio and incorporates an amusement park within the educational park that was already there. Sea World was built in 1988 by the Houghton Mifflin Harcourt company and it quickly became the largest “educational marine-life theme park” in the world. In 1989, the company realized how much they were in debt and was forced to sell the park along with rights to others. They sold the park to Anheuser-Busch. The plans to build other parks adjacent to Sea World were abandoned. Busch decided to close some of the weaker of the attractions and added things like the famous Clydesdales and Killer Whales. In 2008, the company merged with InBev and then was sold to the Blackstone Group. The park over time has been transformed to a highly attended theme park that is full of shows, animal exhibits, and thrill rides that will strike fear into the most daring of people. In 1997, the park received its first roller coaster called The Great White. 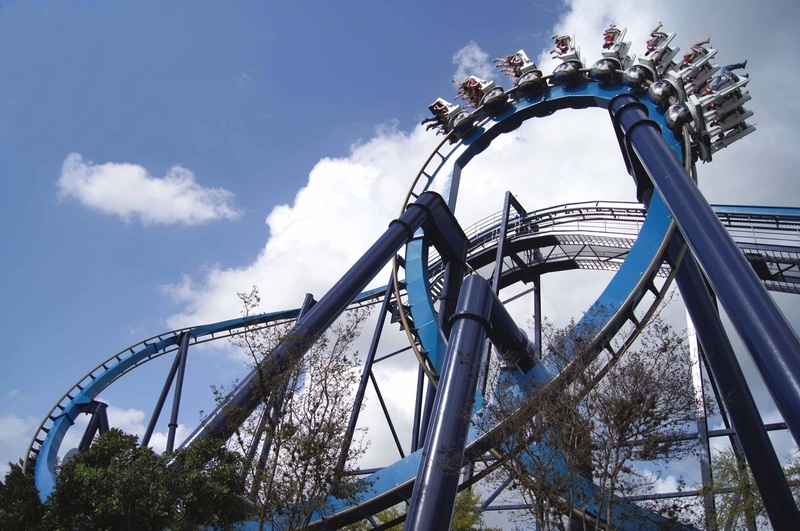 It is still one of the best B&M inverts in the country. Steel Eel is another coaster that many frequent on a day at the park. The park also has a unique ride called Journey to Atlantis. There is also a place for children called Sesame Street Bay of Play that has many attractions for the little tykes. The park has also added a waterpark called Aquatica for anyone who wants to get wet just like the marine life. The park also has its own Halloween event called Howl-O-Scream. There is so much to do and see at Sea World San Antonio that you may want to stay more than one day. There is a little bit of everything for every guest that steps inside the gates. Next time you are in the San Antonio region, say hello to Davey Crockett and head on into Sea World where you can truly swim with the dolphins and live the marine life.